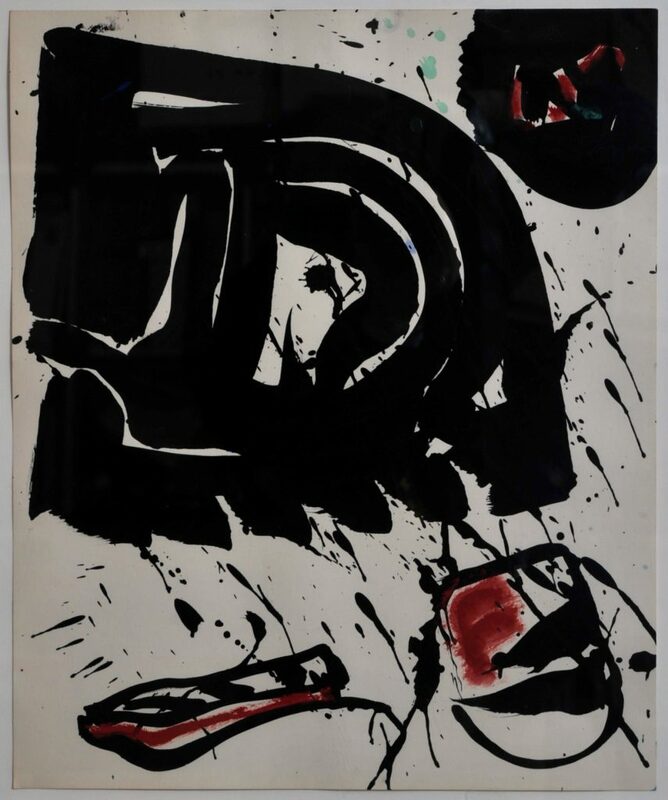 PALM DESERT, Calif., Nov. 7, 2018 /PRNewswire/ — An exhibition of paintings by the acclaimed California artist Sam Francis will be on view at Heather James Fine Art, Palm Desert, from November 15, 2018, through April 29, 2019. Drawing upon diverse influences including Fauvism, French Impressionism and Modernism, Color Field painting, and Japanese calligraphy, Francis is considered a central figure of the second generation of Abstract Expressionists whose pioneering style helped to establish the movement on the West Coast and internationally. Comprising over 28 paintings and works on paper, spanning from 1955 to 1994, Sam Francis: From Dusk to Dawn includes works from the Sam Francis Foundation, and Kaare Berntsen Collection, among others. Featuring 18 paintings completed shortly before the artist’s death in 1994 placed alongside more than 20 seminal works from 1955 through 1986, the exhibition chronicles how Francis’s lifelong dedication to exploring the many different ways color, space, and light can convey emotion and meaning advanced the standing of abstract painting both here and abroad.Standouts on view include Untitled, 1961-62, from his prominent Blue Balls series, which he first began in Paris during the early 1960’s, and A Whirling Square, 1975, a monumental oil on canvas from the collection of Francis’s daughter, Kayo Francis Malik, on view for the first time in over 20 years. Samuel Lewis Francis (1923 – 1994) was one of the first post-World War II California painters to develop an international reputation as a leading interpreter of light and color. In 1941, Francis enrolled at the University of California, Berkley, and then enlisted in the army in 1943. While serving in the U.S. Army Air Corps during WW II, Francis contracted spinal tuberculosis. He was hospitalized for many years and in 1945, he began painting while confined to a hospital cot, and in a full-body cast. Returning to Berkley in 1948, he studied painting while earning his Masters. In 1950, Francis moved to Paris and attended the Atelier Fernand Léger, where he was exposed to the work of Pierre Bonnard and Henri Matisse. In 1956, 7 paintings by Francis were included in Twelve Americans at the Museum of Modern Art, New York, led to critical success. A visit to Japan in 1957 inspired a series of paintings featuring light-filled centers. In 1961, Francis experienced a recurrence of tuberculosis, and wa s hospitalized for almost a year in Switzerland during which time he created hundreds of small Blue Balls works on paper. In 1962, he returned to California, settled in Santa Monica, and worked extensively for the next thirty years on his printmaking and painting. In 1964, his paintings were included in Clement Greenberg’s landmark exhibition Post Painterly Abstraction at the Los Angeles County Museum of Art. Over the next decades, Francis’s style evolved from depictions of bright, lyrical forms that recall Tibetan mandalas (influenced by his study of Jungian psychology), to explorations of grid-like structures during the late-1970s, to compositions featuring serpentine forms and colorful drips in the 1980s. Credited with helping secure international recognition for post-war American painting, Francis maintained studios in New York, Los Angeles, Paris, Bern, and Tokyo. His paintings and works on paper are part of major museum permanent collections, including: the Museum of Contemporary Art, Los Angeles, where he was a founding Trustee; the Metropolitan Museum of Art, New York; the Kunstmuseum Basel; and the Centre Georges Pompidou, Paris, among many others. Solo exhibitions have include the Museum of Fine Arts, Houston (1967); the Centre national d’art contemporain, Fondation Rothschild, Paris (1968); the Whitney Museum of American Art, New York (1972); the Institute of Contemporary Art, Boston (1979); the Museum of Modern Art, Toyama, Japan (1988), the Museum of Contemporary Art, Los Angeles (1999), and the Pasadena Museum of California Art (2013), among many others.